A brewery steals the drinking water of people living in the valleys of Baja California, Mexico. It’s yet another imperialist oppression that Mexicans constantly face. Like Left Voice? Be a reporter for Left Voice! This photo of the struggle in Mexicali has gone viral. In fact, it could be said to depict a generation of Mexican youth. Since the #YoSoy132 movement, social networks have become an important tool in documenting the brutality of the police and army. 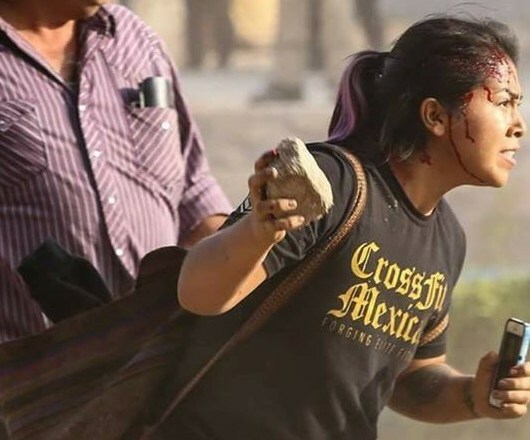 This photo of Tania Gallaga — a stone in one hand, her phone in the other, a stream of blood (from the impact of a stone thrown by police) staining her face, and a look of determination as she faces security forces — has become the symbol of the struggle against the Constellation Brands brewery. Constellation Brands is trying to drain the drinkable water from Mexicali, which will also affect the crops that are grown in nearby areas. Mexicali is considered one of the most arid places in Mexico, and for the inhabitants, this struggle is one of life and death. Despite Trump’s rhetoric, large corporations in the US choose to open new plants in Mexico, where cheaper labor is the rule — a commonly-used capitalist tactic to bust the unions, conduct massive layoffs, and continue to line their pockets by moving abroad. The fact that companies still do this flies in the face of Trump’s “Make America Great Again” claims; corporations aren’t going to bring jobs back to the US, much less good union manufacturing jobs. We won’t trade our water… even for beer! 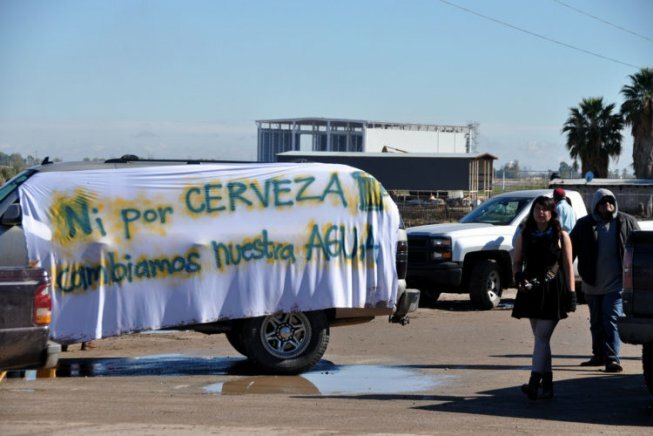 The building of the Constellation Brands plant ignited the anger of the people of Mexicali, who have been facing the security forces for days in defense of their own water. 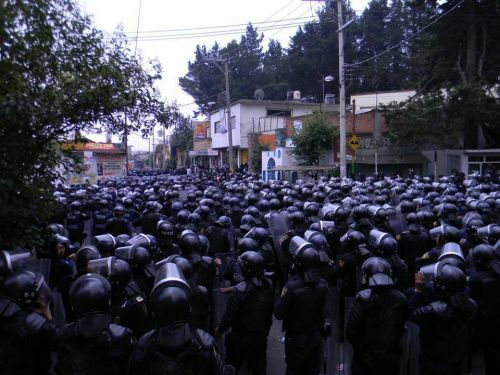 The police (both federal and state agents) are under orders to protect company property, concerned that people’s chanclas (sandals) and stones might destroy the heavy machinery. These are, of course, the same police whose patrol cars led the “National Front for Family” anti-gay demonstrations of 2016 in which conservative sectors took to the streets to oppose equal marriage. The police readily fulfill their role as “protectors” of oppressive conservative sectors and companies who rob communities of basic resources, but when the working class and marginalized take to the streets to demand their rights and defend their lives, the police are ready with tear gas and clubs. Not coincidentally, the government recently approved an outrageous “Inner Security Law” that grants amnesty to the army and allows it to police communities. This means that the people in Mexicali could tomorrow be facing the rifles of soldiers and navy forces instead of the teargas of riot police. The Security Law could bring about this nightmare scenario since the “security” promised is the security for Constellation Brands to comfortably remove water from an entire community and for imperialist corporations to continue to their imperialist plunder of Mexican resources without worrying about the mobilizations of the Mexican people. The increase in police repression is demonstrated by the disappearance of Marco Antonio Sánchez Flores, a teenage boy arrested by the police for taking pictures of a mural. Just yesterday, a massive social media campaign begun for his reappearance. The situation in Mexicali — in which a company savagely targets the basic resources of a community despite the fact that it endangers the lives of the people there — is in no way a novelty in Mexico. 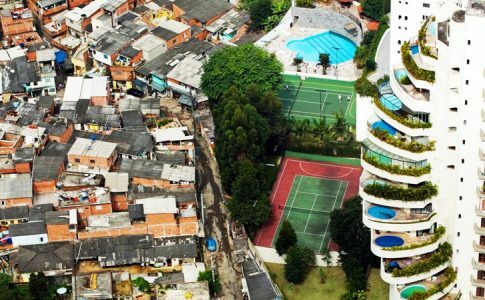 As recently as 2014, in an area in which the impoverished homes of local townspeople are only a few minutes’ drive from luxury mansions and glass high-rises, the people of San Bartolo Ameyalco faced the same problem when their springs were seized to divert water to wealthier neighborhoods in nearby Santa Fe. San Bartolo was attacked by the police and inhabitants were wounded and arrested, just like in Mexicali last week. Natural resources are under a veritable siege in Mexico, and struggles are erupting everywhere as indigenous peoples in the South fight to protect their land against real estate agencies, mining companies, and illegal loggers. The government is an accomplice, as governors either collect bribes or directly benefit from the concessions granted to private companies. The defenders of private (often imperialist) companies argue that the government is incapable of managing infrastructure, so they must resort to the private sector. This argument was presented, for example, to justify the silent privatization of the oil industry and allow Shell, Exxon, Texaco and others to do business in Mexico. 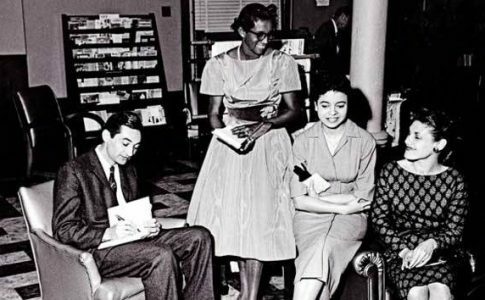 But Mexicans are not alone; newer technologies are our allies. We can report live and ask for solidarity. Some in Mexicali are requesting a boycott of Constellation Brands, a tactic taken from the BDS movement. However, we must do more than boycott. 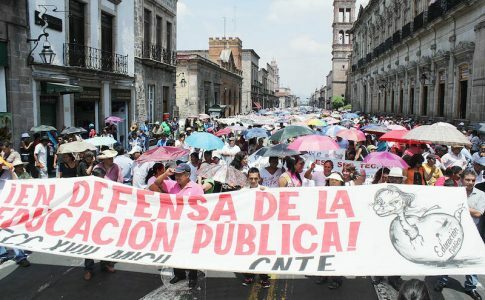 Workers of all countries must take a strong stand in solidarity with the Mexican people, revealing the greedy capitalist parasites for what they are, sending pictures and videos in solidarity, and sending a clear message to these capitalists that they won’t get away with pillaging our resources. These pictures and videos will undoubtedly raise the morale of the people of Mexicali and show the power of the working class. We urge you to send us these pictures and videos with hashtag #MexicaliResiste and #NoConstellationBrands. Mexicans like Tania Gallaga, the young woman photographed while facing the cops, know that the anger must go beyond shares and likes and turn into organizing against the people who kill us even as they live lives of luxury. No to Constellation Brands! 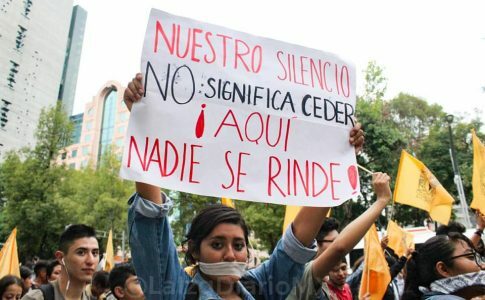 Down with the repression against Mexican activists!